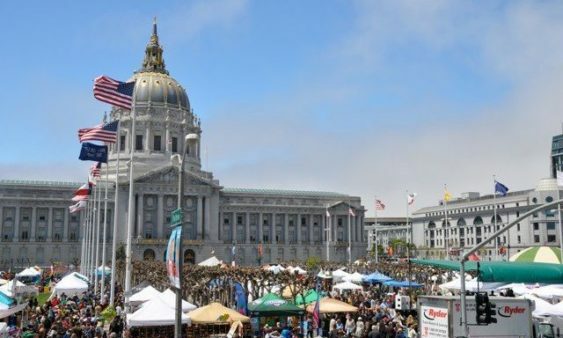 Please note the venue for 2019 is the Mission District rather than Civic Center as it has been in years past. There will be booths by non-profits providing information about environmental causes and solutions to pollution, transportation issues, health care, technology, and the environment, solar-powered stages by SolSolutions, and other topics relevant to leading a healthy and meaningful life in the modern age. 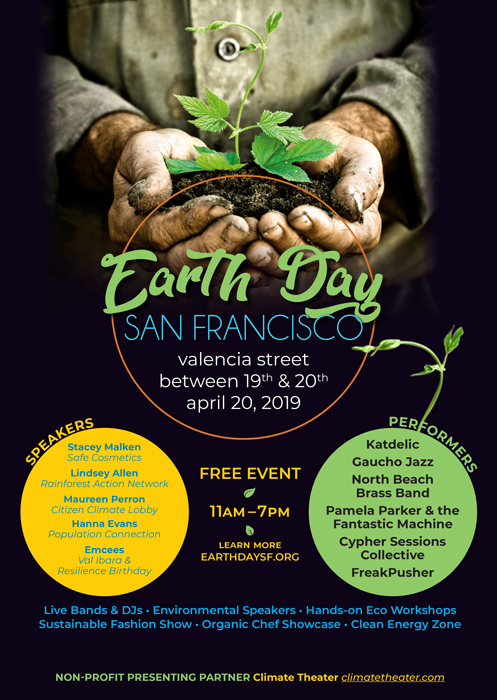 Plus, enjoy live bands, DJs, environmental speakers, hands-on eco workshops, sustainable fashion show, organic chef showcase, and the clean energy zone.